Contradictory to good old windfinder and Dublin Bay Buoy and impeded by very light winds, a magnificent fleet of 8 Shipmans (a first) set off on a beautiful Saturday morning moving their start line to the channel between the Muglins and Dalkey Island for what we called a good old honesty policy of ‘engines off and sails up’ for the start of the annual Wicklow cruise. The Class Captain gave the count down at 12.05 hrs and all got off. 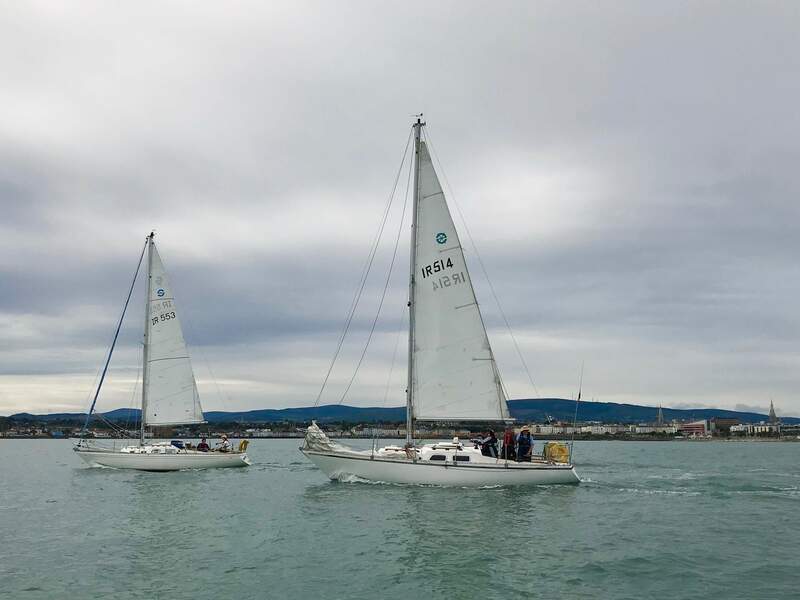 As well as the usual DBSC competitors the fleet was joined by Fodhla and Shelca. 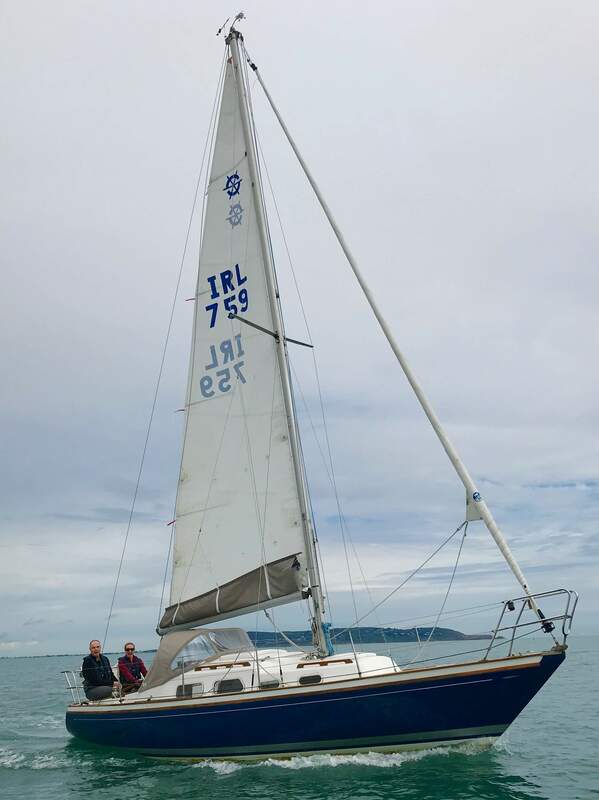 Although the winds in Dublin Bay were still at this stage very light as soon as the fleet got into Killiney Bay they found SSWesterlies in the range of 12 to 15 knots. The fleet separated into 3 groups. 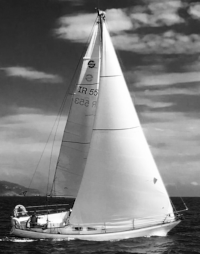 A few headed along the coast, many took a middle course and others went away out close to the Kish Bank. As the fleet cleared Bray Head it was difficult to predict which boats had picked the best course. Viking and Joe Slim were so far off shore it looked that they may have over stood the run into Wicklow Harbour. Passing 5 Mile Point, The Den and Twocan seemed to have picked a good line and seemed in contention for line honours. Barossa, Shelca and Fodhla it seemed decided to hold a middle line until they could determine which of the two groups had made the better line. Shelca later deciding inshore was probably the better option whilst Barossa and Fodhla decided to stay put around the middle line. 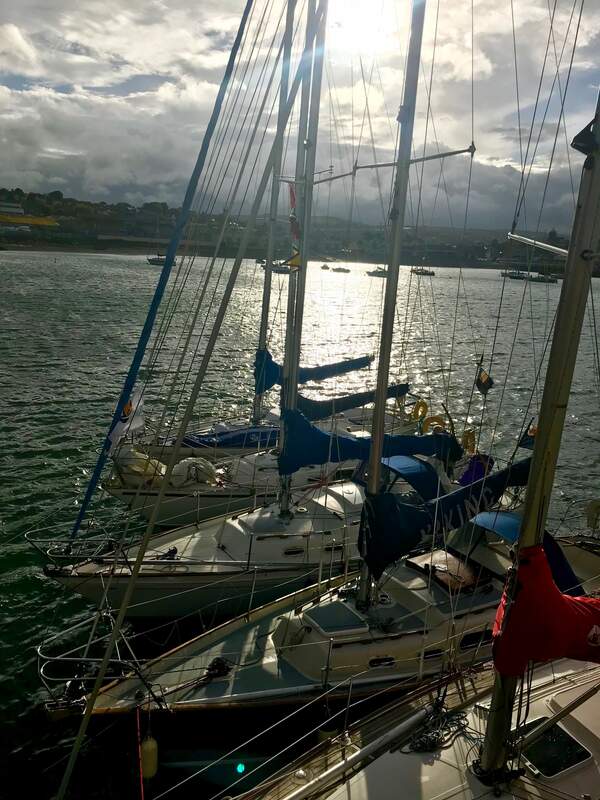 As we neared Wicklow Harbour the wind picked up with gusts of up to 21 knots. Light rain began to fall and a sea fog obscured the entrance to the harbour. Those who picked the coastal and middle courses found themselves stemming a strong tide that was taking them away from the harbour. Joe Slim and Viking bore in for the harbour and with a following tide crossed the line in that order at approx. 1600hrs. These were followed closely by The Den, Twocan and Invader shortly after. Barossa seeing a possible golden opportunity to take Shelca decided to change sails mid race to find it wasn’t the best planned idea particularly when you put your hon. Sec. (new to helming on the tiller). 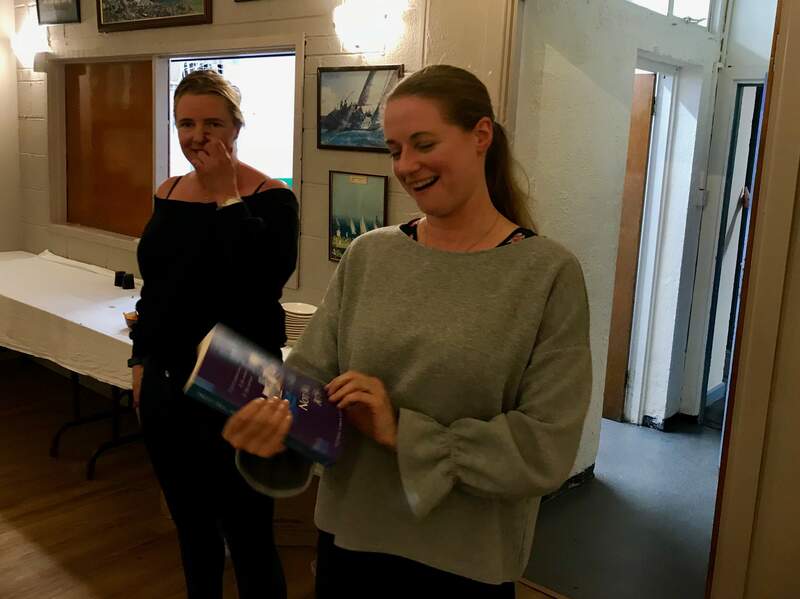 The lesson learned is you’re supposed to keep the boat moving….. Shelca took the honours followed by Barossa with Fodhla following not too far behind. 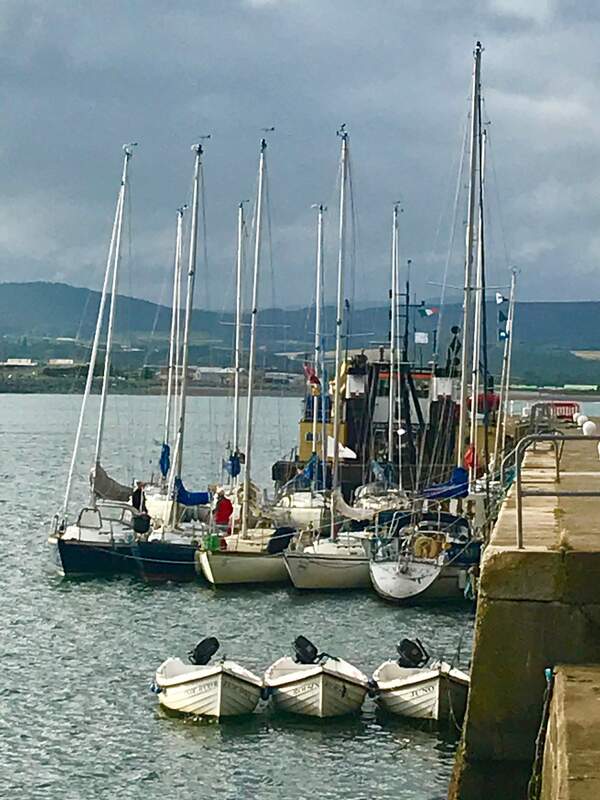 All 8 boats made it safely and rafted up to the harbour wall. Following a well-earned hot shower and a few drinks we were warmly greeted by Denise Cummings the Commodore in front of an open fire. 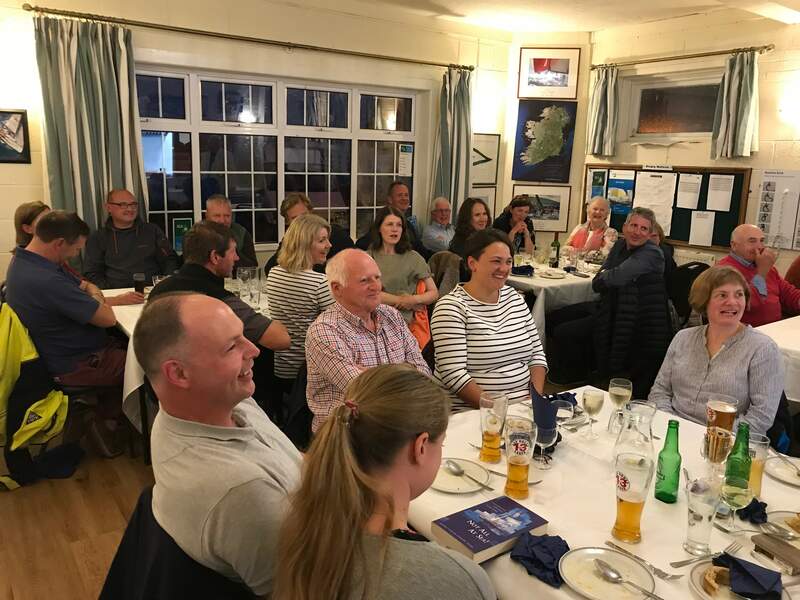 One of the highlights of the evening is the Wicklow Sailing Club famous 3 course meal which consisted of a warm black pudding salad, smoked salmon and homemade bread, their famous steaks with all the trimmings and a belly warming apple crumple and custard. Les Brannick, Shipman Class Secretary, presented the Wicklow trophy to B.J Maher, Joe Slim, and a special prize to Fodhla in recognition of racing with just 2 on board. 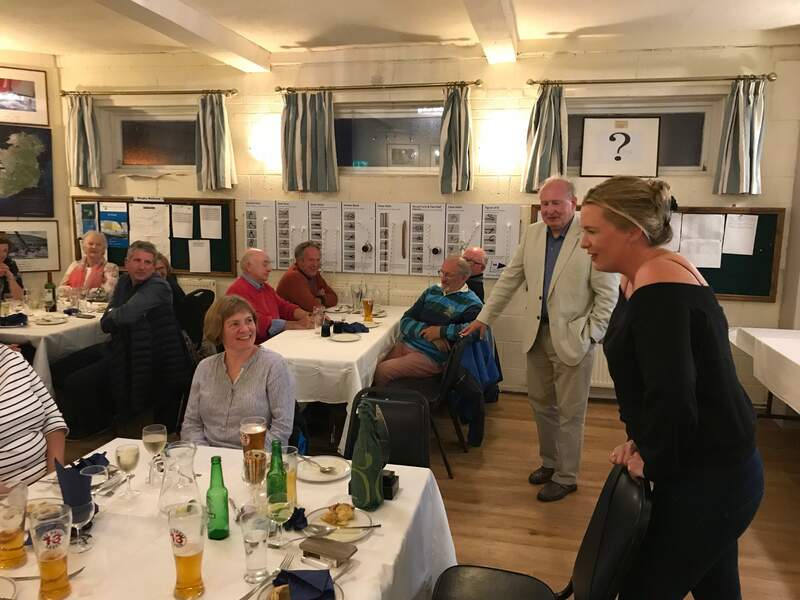 The Class Captain proposed a vote of thanks to the Commodore of Wicklow Sailing Club and all the volunteers, particularly the chef and his team for such an enjoyable night. Finally a timed knot making competition was organized by George Miller and a representative from each of the boats competed. It was won by Des Walsh Shelca in a spectacular 43 seconds. As the evening came to a close those spending the night on board their boats could be seen steadily making their way back. David Freeman (hostess extraordinaire) kindly offered a nightcap to those who weren’t quite ready to hit their bunks. A fine selection of cheese/crackers/beers and a round of G&Ts from proper glasses where provided to all who attended with the evening winding down in the wee hours of the morning. I think we can all concur it was a great success…..till next year!